Hell’s Kitchen (also known as Midtown West and Clinton) is one of the first neighborhoods that I lived in when I moved to New York City, more than 10 years ago. The area has changed a lot since then, and most of my favorite places are now closed down. A few blocks away from the Hudson River or Times Square, this neighborhood still offers tons of things to do, great restaurants and bars, and it always brings me a lot of joy and memories when I go back. The interior photography session that I did today took place in a recently renovated ground floor unit. Decorated in a modern style, the apartment features a double-size futon, a cable TV and a coffee table. There’s also a dining table where you can sit down to a nice meal made in the small open kitchen which includes essentials like a hotplate and microwave. The bedroom offers lots of sleeping space on bunked double and twin beds. 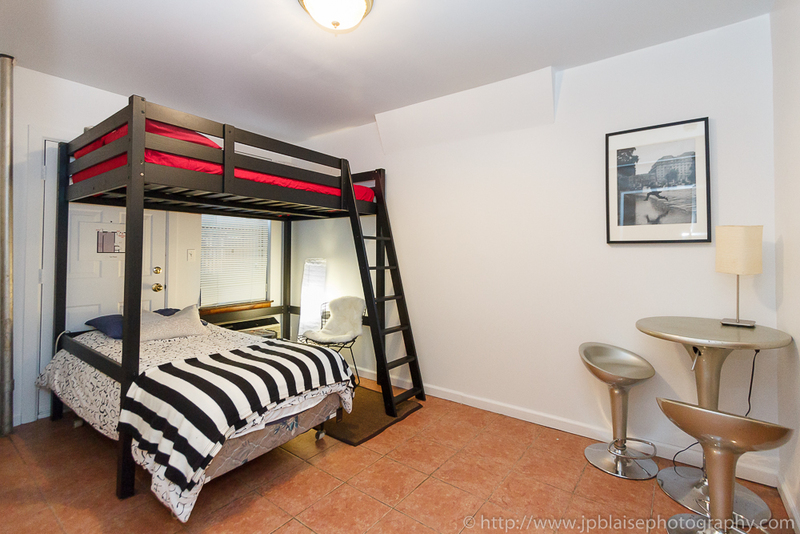 An ideal unit for tourists who want a quiet place to rest while being close to the action!